Uno sguardo al futuro del sistema operativo di Apple a 10 anni dalla sua introduzione. The future of Mac OS X and its mobile iOS sibling will harness new directions in technology: principally, computers that no longer rely on just faster GHz clocks but can take full advantage of multiple cores and multiple types of cores. Apple's advantage in mobile devices is already evident in the fact that, for example, Android devices like the latest Galaxy Nexus require 1.2 GHz, dual core processors with multiple CPU cores and twice the RAM to match the smooth graphics interface performance of the nearly three year old iPhone 3GS. Windows devices similarly require hotter chips and more RAM just to approximate the functionality of the far less expensive hardware of the iPad, a reality that has forced Microsoft to begin porting portions of its platform to run on more efficient ARM chips. [...] Apple will also continue its efforts to simplify away complexities in the computing world such as the conventional file system, replacing it with cloud-coordinated, secured documents that update intelligently across devices without requiring manual intervention by users. The App Store, iCloud, Internet Recovery, and iTunes Match have already revolutionized how software and content is distributed and stored, increasing erasing the necessity of physical media, which will in turn allow computing devices to become increasingly mobile. And while Apple revolutionized the computing user interface over the last decade with multitouch gestures, winning an ideological battle against devices driven by primarily by physical keyboards and buttons, Apple's Siri promises to lead a new charge in pushing voice as a natural user interface, something that's even more intuitive than mousing or tapping, and for many people, more accessible. Although Apple began the last decade by branching out into general purpose devices with the then new iPod (something that subsequently quickly overtook the Mac in sales volumes), it closed the decade with the vast majority of its unit sales (including half of its iPods) being driven by iOS, the mobile edition of Mac OS X. Going forward, Apple is expected to venture into new markets with its operating system and development tools, increasing its presence in the living room on HTDVs and likely pushing further into the casual gaming market the iPod touch reinvented. This year also marks the first year of the second decade of iTunes and the iPod, the future of which will be outlined in part two. Tra le molte succose novità di Apple che oggi ci attendono nel keynote a San Francisco in occasione del WWDC, forse Jobs in persona si lascerà sfuggire qualche indiscrezione anche sul futuro iPhone 5. Tutti i segreti e le nuove funzionalità di Mac OS X 10.7 Lion, il prossimo sistema operativo di Apple previsto in uscita questa estate, analizzate in dettaglio da AppleInsider. Tre dei più grandi successi di Apple quest'anno festeggeranno il loro decimo anniversario. L'evento Apple in programa per oggi sarà disponibile live sul sito dell'azienda di Cupertino, a partire dalle 19. Come sempre lo streaming sarà ad esclusivo vantaggio dei felici possessori di prodotti con la mela morsicata. Apple® will broadcast its October 20 event online using Apple's industry-leading HTTP Live Streaming, which is based on open standards. 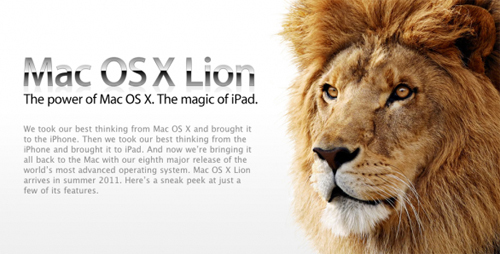 Viewing requires either a Mac® running Safari® on Mac OS® X version 10.6 Snow Leopard®, an iPhone® or iPod touch® running iOS 3.0 or higher, or an iPad™. The live broadcast will begin at 10:00 a.m. PDT on October 20, 2010 at www.apple.com. Apple annuncia un evento per il 20 ottobre e si scatenano le previsioni su cosa verrà presentato. C'è molta attesa per il nuovo sistema operativo Mac OS X 10.7, ma non mancano voci di rinnovo per iLife, iWork e nuovi MacBook. Oggi, dieci anni fa, usciva la beta pubblica di Mac OS X.
Steve Jobs unveiled Aqua to the oohs and aahs of a stunned audience, jaws agape, during his January 2000 Macworld Expo keynote speech. The delighted, newly full-time CEO-Jobs also dropped the "interim" label from his iCEO title that day-spent a large portion of his presentation demonstrating graphically stunning new features of Aqua, including the "genie" minimize/maximize effect, Dock magnification, and lushly illustrated, high resolution icons. The world had never seen anything like it, and Apple found itself-for the first time in at least a decade-with an operating system that people could not wait to get their hands on. In September of that year, Apple obliged. According to Tevanian, the company knew that for a release as important, dramatic, and different as an entirely new OS, the company couldn't just keep the beta testing process under wraps. Apple needed to get the OS out into as many hands as possible so ordinary users run it through its paces in ways the company itself couldn't imagine. Apple set the price of "Mac OS X Public Beta," as it was called, at $29.95-low enough for anyone could get it if they wanted, but high enough to exclude folks who might not be constructive to the beta testing process. 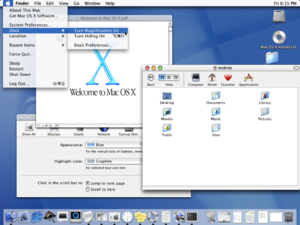 The beta sold through Apple's online store; the company later offered a $30 discount on the first full release of OS X (v10.0) when it shipped in 2001. 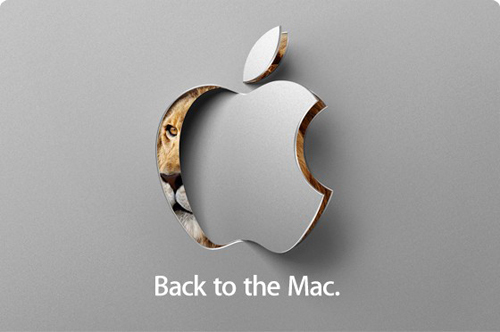 La rivoluzione in casa Apple si chiama Mac OS 10.0 Cheetah. Il nuovo sistema operativo di Cupertino spinge ancora una volta in alto l'asticella della qualità.